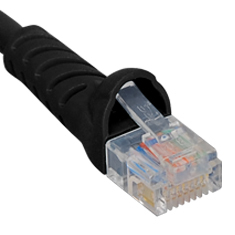 Patch Cord, Cat 5e, Molded Boot 25', Blue | Avcomm Solutions, Inc.
• Ultra Slim Low Profile boots for high density applications, no width wasted on boot. • Backwards compatible to all lower rated category components. overall diameter: 0.204" +/- 0.008"